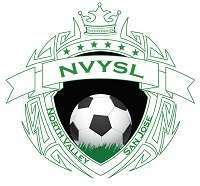 North Valley Youth Soccer League (NVYSL) supports both recreational soccer for children living in north San Jose and Alviso, California, and competitive soccer under North Valley United for children living anywhere in the bay area. The recreational league boundaries and home and practice fields include the north east San Jose foothill neighborhoods as far north as Landess Ave (south of it), west on Montague to 880, south along 101, to North of Mabury ave, and along Mt. Hamilton hills following the Santa Clara County line. Join North Valley YSL for a night with the EARTHQUAKES @ Buck Shaw Stadium, Wednesday Night July 23rd, 2014 vs. Chicago Fire @ 8pm. Tickets are discounted @ $22/ea and ordered through Matt Murphy nvyslmurph@gmail.com up to game time or until sold out. Please order with your team as a group with your teams.